​Inspired by the true events of Whitney Smith’s award-nominated blog Superfriends. 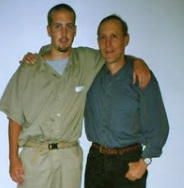 ​At age 24, Whit serves the seventh of his ten-year maximum-security prison sentence as a non-violent criminal, and fears he’s becoming institutionalized. Though he resides in the Oklahoma City bomber’s previous 8X10ft. solitary confinement cell, it is starting to feel like home. Influenced by Bill Waterson (Calvin & Hobbes), Whit uses humor to cope with being caged alongside some of America’s most violent convicts, helping him to befriend some, and become the enemy of others. Even if Whit makes it through his sentence without being stabbed, poisoned, or framed, will he be able to see past a life enclosed by razor wire? Hoping to present an updated version of this story to NYC in the fall of 2017. "A powerful and emotional retelling... You'll be moved... Kovach's production deserves a wider telling." "This show propels you to want to know more... You ask yourself what you might do to change the system... another outstanding work from Unity Productions." " I can’t find fault with any of the performances... I suspect ongoing sold-out houses... High praise, indeed!" 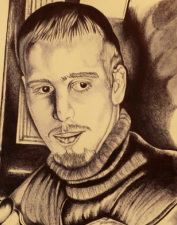 In September ’08, Whitney Smith had the idea to write a blog from inside the walls of Terre Haute prison, by writing letters to his father for online publication. SuperFriends, was nominated for BlogNet’s ’08 Diarist award, and received followers world-wide. Whit’s Blog has since been adapted into a docu-drama, An Oral History of My Future by Zina Camblin in ’11, into a published novel, SuperFriends by Jeff Smith (Whitney’s father) in ’14, and into the first incarnation of this play Blogging Behind Bars by Jon Kovach ’14. 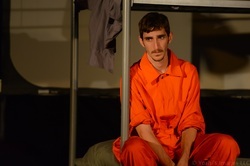 Blogging Behind Bars premiered in Whit’s hometown as part of the Cincinnati Fringe Festival ’14, where it earned critical acclaim, and the Audience Pick of the Fringe Award. Zach Cieslak, Billy Chace, Zach Gerberick, Chris Stewart, Zina Camblin, and Charity Farrell.